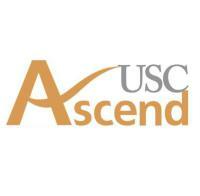 Ascend USC Chapter is the Premier Pan-Asian Business Club at the University of Southern California. We are dedicated to providing the best resources and opportunities for our members, affiliates and corporate partners to develop long-term, mutually-beneficial relationships among each other. We connect our students to leaders across industries through a network of seasoned professionals and emerging leaders. We enable our young professionals and emerging leaders to pursue their dreams and achieve new professional heights. And we assist our partners and sponsors to maximize their recruiting efforts through first-class diversity and inclusion practices. Ascend reaches 60,000 people with 34 student chapters and 17 professional chapters located in both the United States and Canada around major business hubs and educational institutions.